Apple has been on a roll this week, announcing back-to-back upgrades for the iMac and iPad lineups. Well, today is no exception as the Cupertino giant has finally announced its most-anticipated upgrade of the Apple AirPods, the second-generation AirPods. And yes, it comes with an optional wireless charging case, as expected. 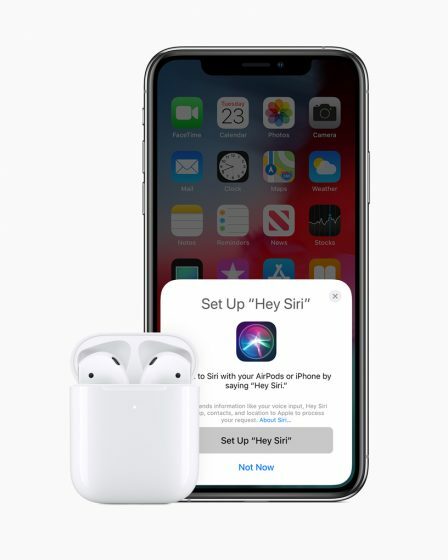 The second-gen AirPods were first teased during the iPhone XS/XR launch last year, and come more than two years after the release of the original AirPods. The new AirPods are backed by a new Apple-designed H1 chip (that replaces the existing W1 chip), improved battery life, hands-free ‘Hey Siri’ feature, and Qi wireless charging case. In the official press statement, Apple’s senior vice president of Worldwide Marketing Phil Schiller states, “The world’s best wireless headphones just got even better with the new AirPods.” With that, let’s dig further into the new features of the second-gen AirPods, a little in detail. The new H1 chip in the second-gen AirPods comes with Apple’s custom audio architecture and it’s the reason for all the performance gain. 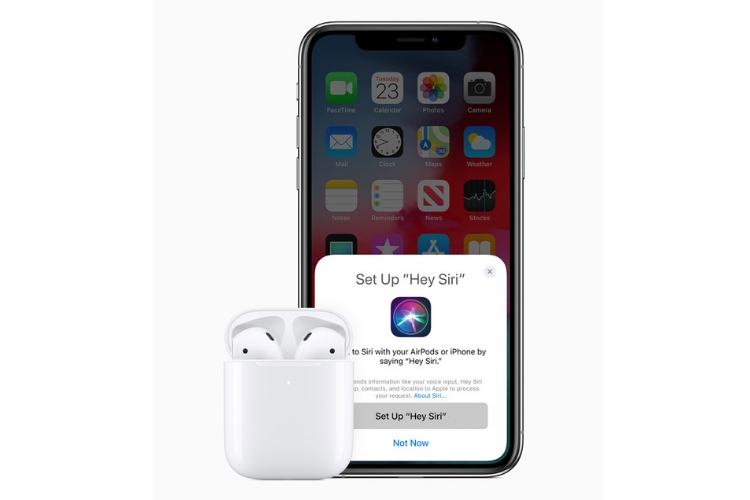 It is designed especially for headphones and offers faster connectivity, up to 50% extra talk time (compared to the first-gen AirPods), and the added benefit of Siri being only an audio command away. You can seamlessly switch between devices as the connectivity speeds are up to 2x faster and the hands-free ”Hey Siri” feature can help you place calls, control music playback, & lots more. There’s no word on the charging speeds, but each case (wired or wireless) will hold the charge for over 24 hours worth of total listening time. The second-gen AirPods are available to purchase right this moment, but only in the U.S. These new AirPods will come to India later this Spring via Apple Authorised Resellers, but we do have the official price tags with us. The new AirPods with the same old wired charging case will now cost Rs 14,900, which is higher than the $159 (Rs 11,000) retail price tag in the U.S. It’s also higher than the Rs 12,999 price tag of the original AirPods in India. You can pick the new AirPods bundled with a wireless charging case for Rs 18,900 (also higher than the $199/ Rs 13,700 price tag in the U.S) if you are in the market for a new pair of truly wireless earbuds. If not, you can buy the wireless charging case for your existing Apple AirPods for Rs 7,500. Are you excited for the second-gen AirPods and its wireless charging capability? Will you pick up the new AirPods or not? Let us know in the comments below.